It was Migratory Bird Day in Sauk Prairie this past Saturday, the official kickoff to Migratory Bird Week. The week’s events will culminate with the Great Wisconsin Birdathon May 4. Sauk Prairie first got involved with Migratory Bird Day (now week) when the villages applied for and were awarded Bird City Wisconsin status in 2012. Our Bird City designation was recently renewed at the Sustained flight level. The Bird City Wisconsin initiative is modeled after the Tree City USA program developed by the National Arbor Day Foundation. The goal of Bird City Wisconsin is to “Make our communities healthy for birds … and people.” The focus is on improving urban bird habitat and reducing threats to birds. I wanted to lay a little ground work for what led up to the events this past weekend. 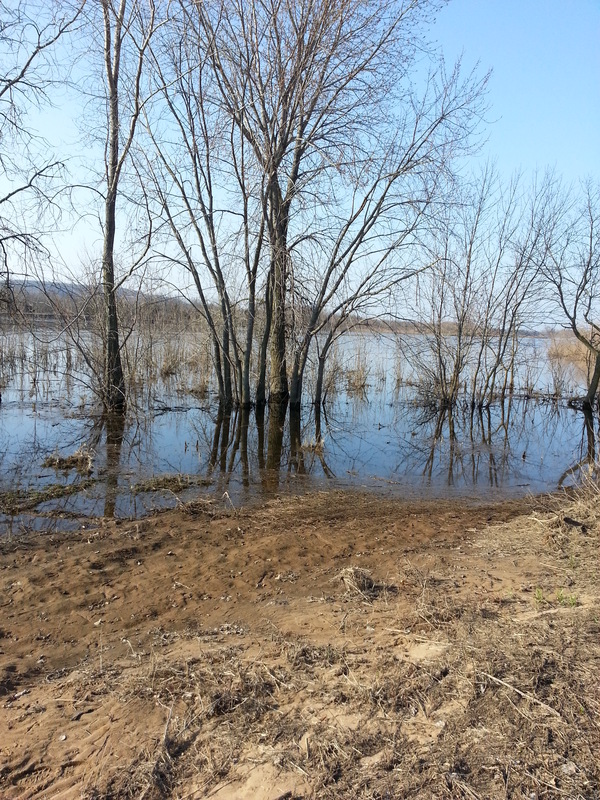 I was stationed Saturday at the canoe launch south of Sauk City. This launch is maintained by the DNR on land that is considered a prime example of sandy barrens and an ideal spot for migrating birds. My favorite moment Saturday was when six white pelicans flew overhead. They were so close we could see their black tipped wings. You can’t help but watch in awe when you’re so close to such beautiful birds. I’m including a list of resources about birding for anyone interested in learning more.